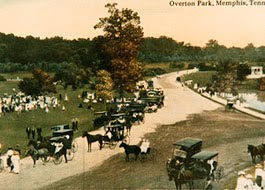 National recognition for Overton Park! Now, this is awesome news: Overton Park was just selected by The Cultural Landscape Foundation (TCLF) for their annual Landslide program. Go here to read all about it! 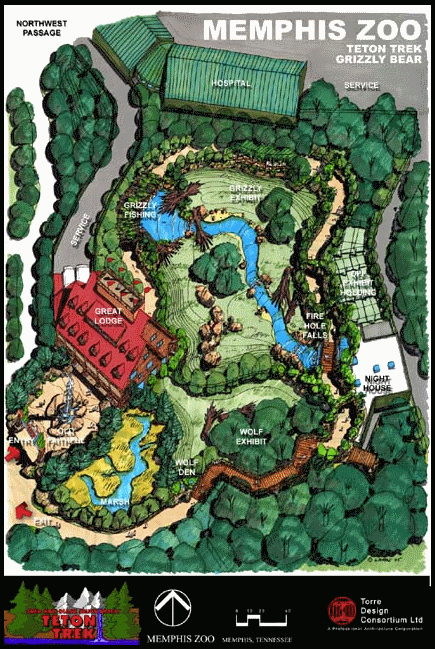 TCLF established this program in 2002 "to focus attention on culturally significant landscapes at risk for alteration or destruction" and our park is one of 16 sites selected for Landslide 2009 from a field of nearly 100 sites nationwide. We're grateful to the fine folks at TCLF for honoring Overton Park, and for the work they do to raise awareness of threatened public landscapes across the country! 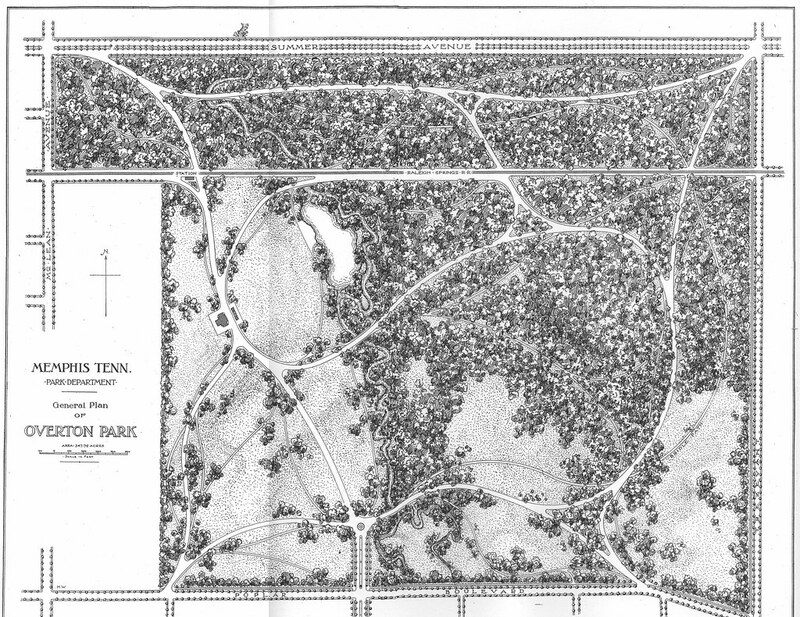 It took many trips to Overton Park to count them all, but Tom Heineke now knows that there are 332 plant varieties in the park's old-growth forest. He didn't count mosses, but his year-long inventory includes all the trees, shrubs, flowers and probably a lot of what some would call weeds. 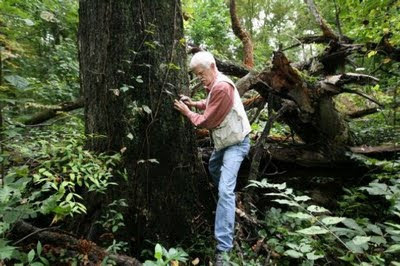 Heineke was hired by the city to inventory the forest and his report details its health, and how to protect and care for it. "It's very healthy," he said. "It just needs some assistance in ridding it from these exotic species that are gradually covering the ground and the vegetation and in the process destroying the native species." 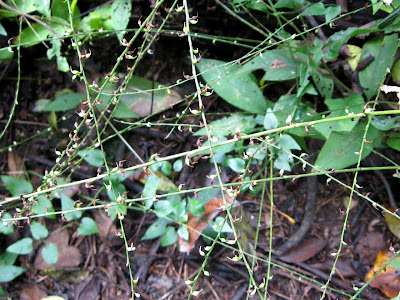 Non-natives, among them English Ivy, vinca minor (or creeping vinca), privet and monkey grass, are prevalent in the forest, some brought in via seeds by birds. Others were planted there years ago when it was thought to be the right thing to do, Heineke believes. Heineke also found a few surprises in the forest. There were healthy stands of goldenseal and oceanblue phacelia, both on the Tennessee Natural Heritage rare plant list. 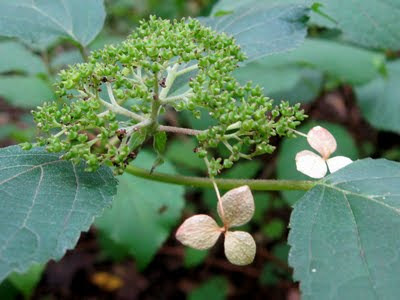 The plants aren't technically endangered yet, Heineke said. 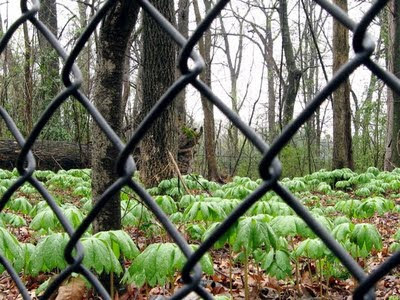 "But they are on the list of rare plants that the state of Tennessee is watching," he said. 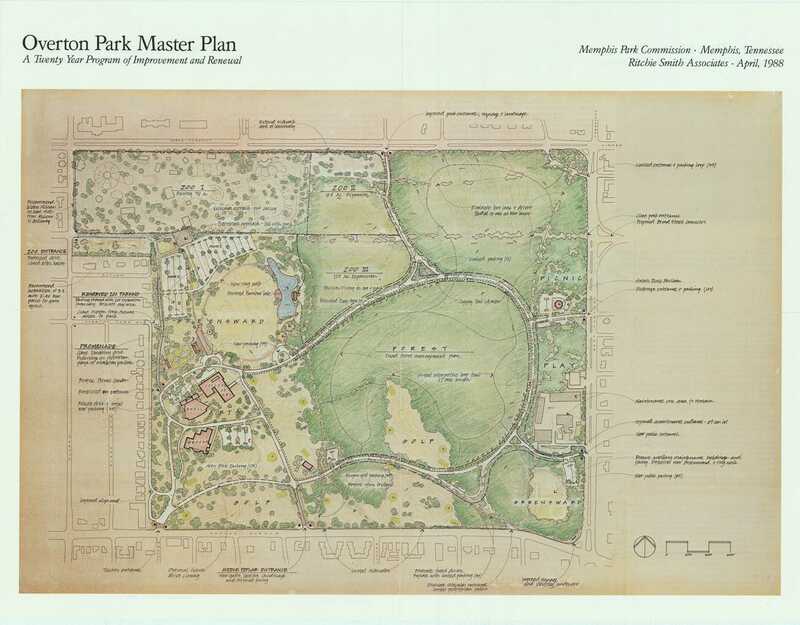 He's also measured several trees, including a black cherry tree that was 27 inches in diameter, a 46-inch Southern red oak, a 62-inch shumard oak and a nearly 9-inch pawpaw as possible Tennessee Champion Trees. 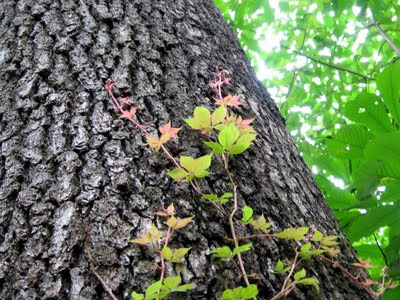 Under the Tennessee Department of Agriculture program to identify the largest specimens of native trees, a tree earns points based on its circumference, height and crown spread. 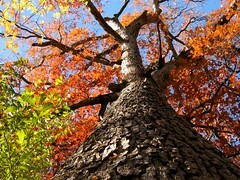 The tree with the most points for its species is declared a champion. Heineke was paid $2,400 for his year of work. He has a doctorate in plant taxonomy and plant ecology from Southern Illinois University in Carbondale. He worked for the Corps of Engineers for 10 years and for 16 years owned a wetlands consulting firm. Parks services director Cindy Buchanan could not be reached for comment. 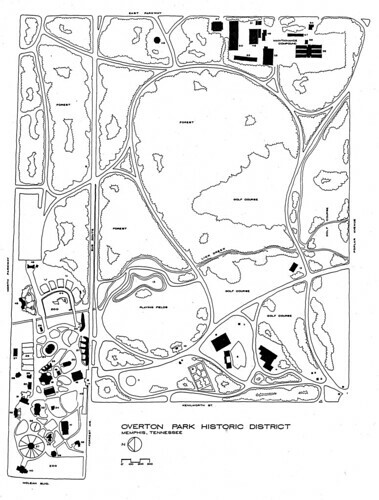 The idea to inventory the old growth forest was pitched to the city by CPOP (Citizens to Preserve Overton Park). A comprehensive plant survey has never been done before, said CPOP co-founder Naomi Van Tol, who accompanied Heineke on many of his trips into the forest. 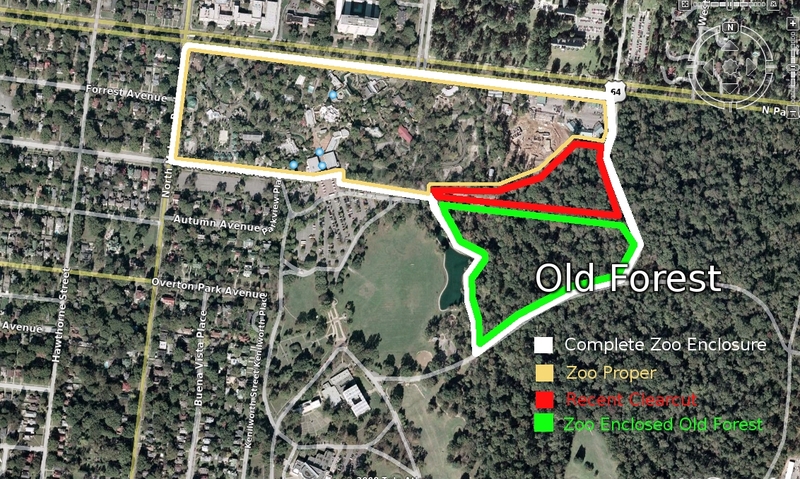 "The most important thing is it shows how unique and rare the forest is," Van Tol said. 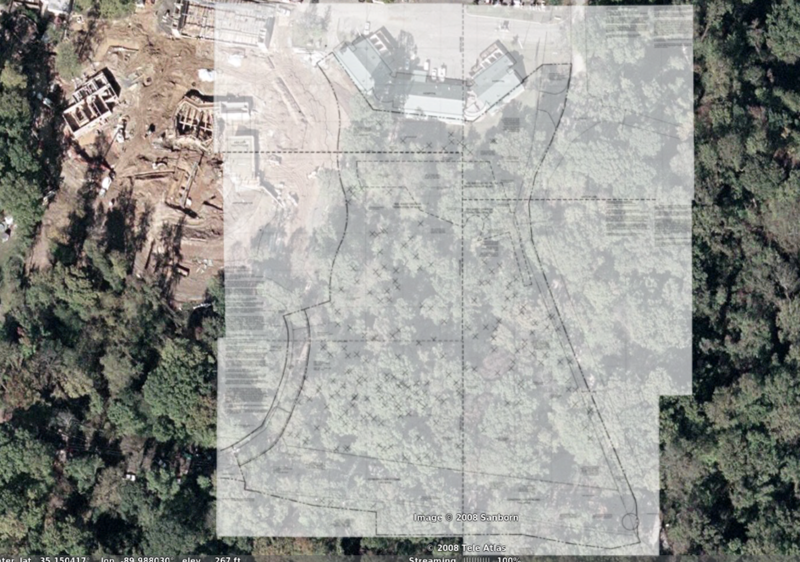 Next, they hope to find a way to legally protect and preserve the forest. 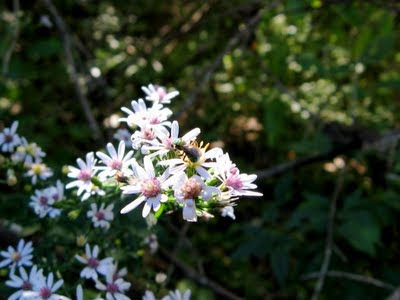 For now, Heineke is suggesting that the city kill the evergreen, non-native plants. Beyond that, his best advice is to simply leave the forest alone. "Don't mess with it. Don't do any kind of maintenance other than getting rid of the invasive non-native species," he said. 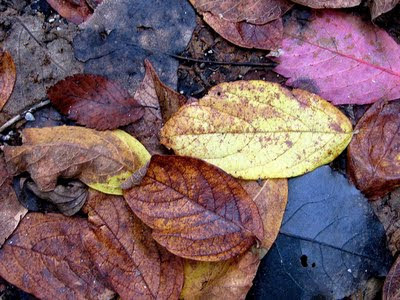 "When a tree falls, let it fall, unless it lays across a trail, and for the next 50 years let it turn back into the soil." 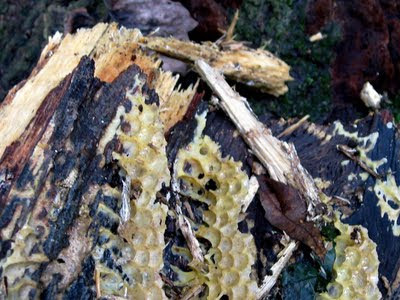 Hollow branch with remains of a honeybee hive. Virginia knotweed giving up the ghost. 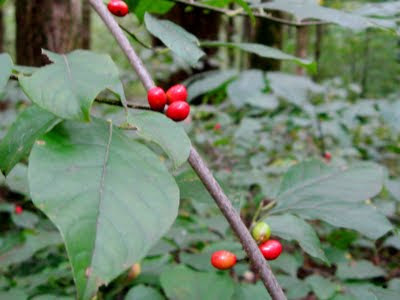 Spicebush berries - crush and smell them! 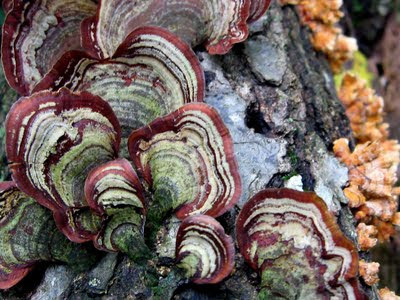 Turkey tail lichen on a fallen tree. Virginia creeper climbing a cherrybark oak. We are gathering signatures until November 15, so please spread the word! Our forest doesn't belong in a cage.